Just spitballin' - 3.6 plenum fit to 3.2/3.3 heads? 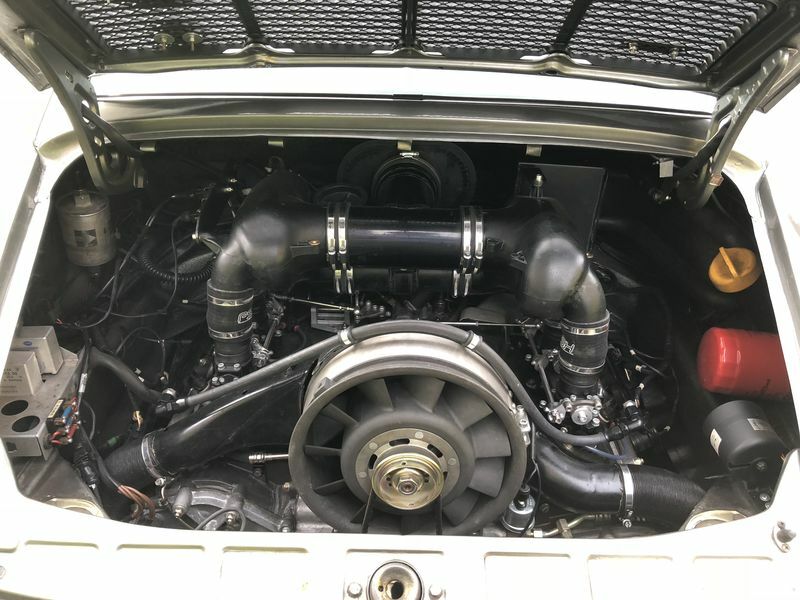 Just wondering; does a 964/993 plenum line up with the ports on a 3.3 motor, or is there a difference in port-to-port spacing between 1-2-3 on the same bank? Clewett makes some or TurboKraft can make them from their 930 aluminum EFI injector blocks. That's the route I went to get a proper taper from the ~42mm VRam intake runner ID down to the 39MM big port SC head size. I'm leaning towards alloy over plastic - other than weight, any reason to prefer the plastic ones? The GT3 plenum is too big for a 3.0-3.3 and N/A engines will lose a lot of low & mid-range power unless ITB's are installed under the plenum. This one is best suited for 3.5 & larger. The late 964/early 993 plastic ones can be made to work, however you will lose some low end power (unless ITB's are used under the plenum for N/A applications). For turbo motors, its a nice upgrade when bigger cams are used. Last edited by Steve@Rennsport; 08-28-2018 at 08:17 AM.. Apparently, the plastic ones flow more evenly from runner to runner. I have an aluminum set if that is not a super concern for sale. It does not have a center section or any other supporting parts. It's just the manifold halves. True, but aluminum ones may be Extrude-Honed for effect. However, distance from the throttle butterfly to the valves is still ~2 feet; ITBs would seem ideal to further improve throttle response low speed/off-boost. Exactly what I am going to do. Read my sig. 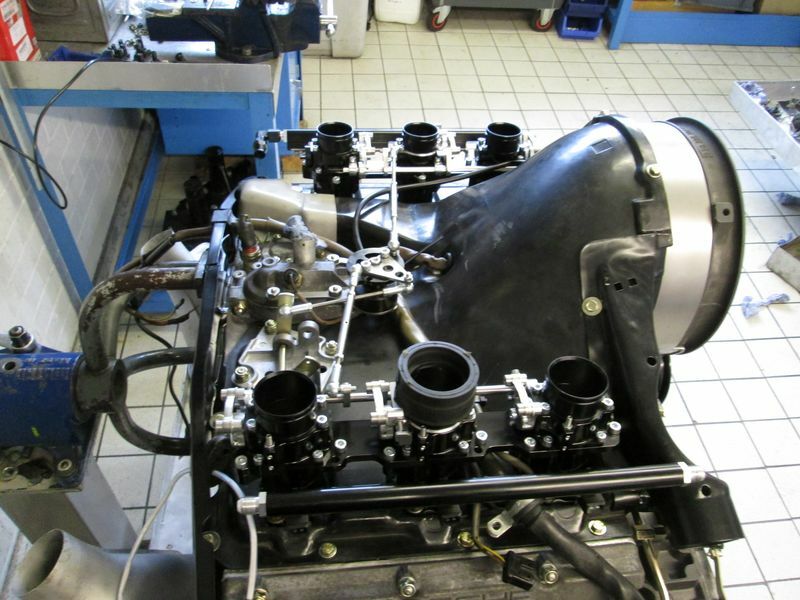 The 964 intake couples to ITB's with a simple silicone coupler and hose clamp. what's the advantage of running a system like this instead of trumpets? Torque is meant to be the primary benefit - i’ve read that the plenum provides a ready (pre-collected) dollop of air to expedite/improve combustion and sharpen throttle response. William Knight mentioned to me that a common plenum will always provide more area under the torque curve than straight stacks. interesting. i have CNC'd mounts for the plenum but my tuner prefers the trumpets (perhaps for setup). i may look at doing back to back dyno tests down the line. The atPowers leave you with stubs so relatively easy to mount the plenum with use of silicone connectors.